Long Beach, CA, December is a month for honoring traditions, celebrating with family and friends and reminding ourselves that compassion and kindness never go out of style. Fortunately for all of us, 170 years ago Charles Dickens mixed those things together and created A Christmas Carol and his most memorable characters: Scrooge, his nephew, Jacob Marley, three ghosts, the Cratchits and Tiny Tim. The perennial favorite returns for its seventh incarnation at the Long Beach Playhouse. "This year's production tells the traditional story in a non-traditional way. 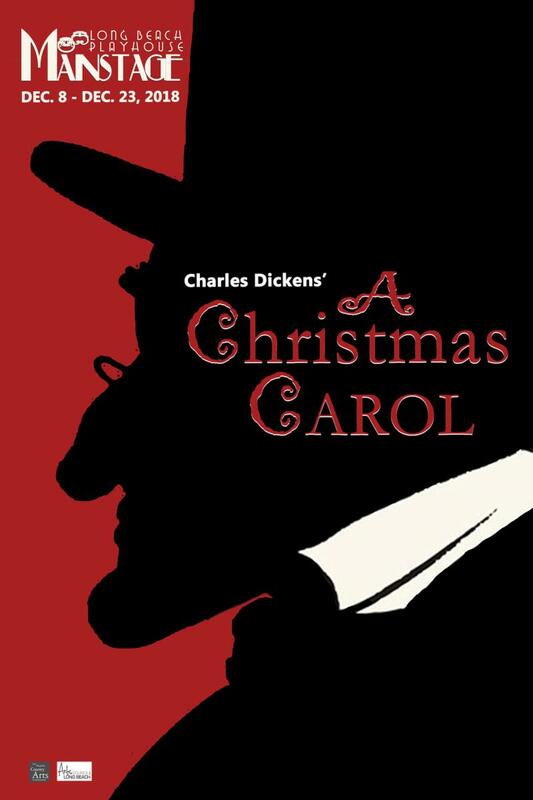 I don't want to give too much away but let's just say some actors have two roles, the traditional character in A Christmas Carol and the actor playing the character", said Playhouse Executive Director Madison Mooney. "It's a quick-paced production and is exactly the Christmas party that will put us all on the path to holiday cheer." "This year we asked Larry and 'Phie Mura to collaborate on the production. I knew that the two of them would take this beloved story and keep every bit of charm that it possesses and still add their own creative vision to bring us something wonderful," said Playhouse Artistic Director Sean Gray. "Without changing anything about the classic tale they've added a level of theatrical whimsy that makes it sparkle all the more." The nine-member cast is a mix of actors who are making debuts and who are returning to the Playhouse. Those making their debuts are: Sarah Estabrook, Baiinga Lontho, Michael G. Martinez, Melissa Musial, Michael Panah and Mary Sherg. Returning to the Playhouse are: Jack Murphy, Mitchell Nunn, and Rick Reischman. 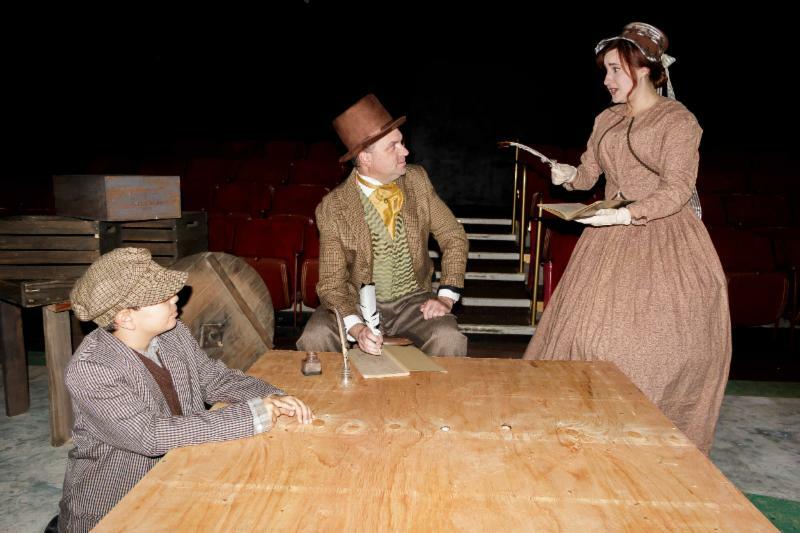 "There's another thing that's different about A Christmas Carol in comparison to our other productions," said Mooney. "Thursday night performances! This show always sells out so having Thursday night performances help even more people see this great show." The show opens December 8 and runs through December 23, 2018. Friday Two-for-One is already sold out! Saturday and Sunday: Adults are $24.00, Seniors $21.00, and Students $14.00.